Kissimmee, Florida — At this point, there are very few things missing from Lisa Lockhart’s resume. After 12 trips to the Wrangler National Finals Rodeo (NFR), Lockhart has won nearly every major rodeo on the ProRodeo schedule, from Cheyenne Frontier Days to the Calgary Stampede, from the Wranlger NFR average—twice—to the Canadian Championship. It’s all part of a $2.5 million career. 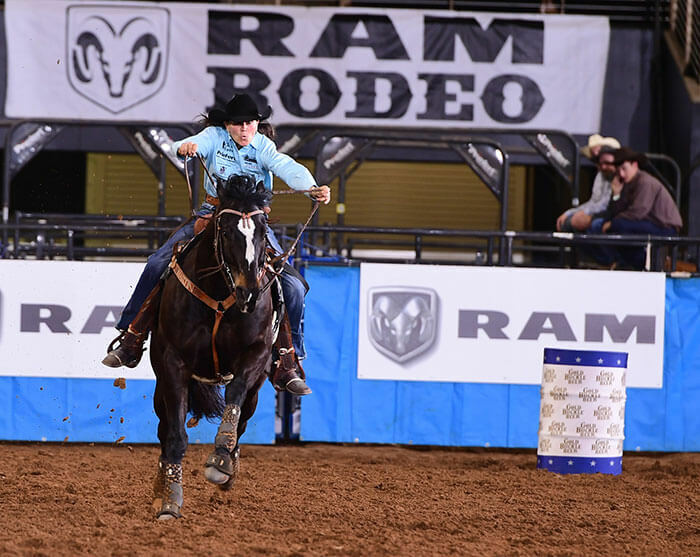 Championship Sunday begins with the semi-final round of eight cowgirls and Great Lakes Circuit reserve champion Kricket Gintner was the first to compete. 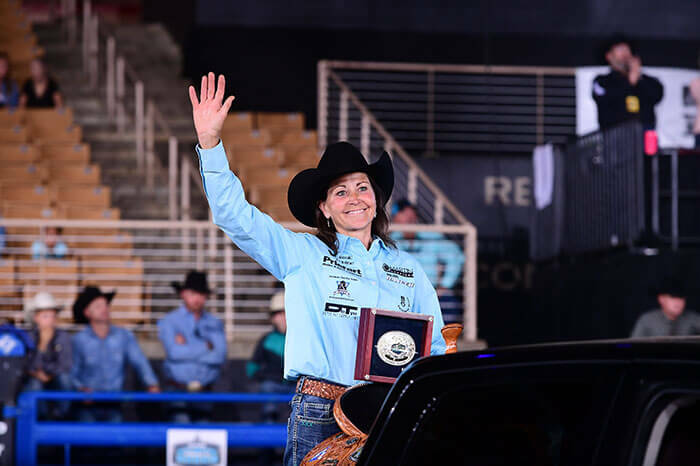 The mother of two who is a second-generation RNCFR competitor — her mom Tammy Whyte won the Great Lakes titles several times—made a beautiful run at 15.46 seconds to lead the way. For more information on the Ram National Circuit Finals Rodeo (RNCFR), visit them on-line at www.rncfr.com and www.prorodeo.com.